The late Tan Choon Ghee was born in 1930, Penang. Studied in Nanyang Academy of Fine Art, Singapore and graduated in the class of 1951. He went on to study at Slade School of Fine Art London from 1957 to 1959. Other than watercolours, he was equally proficient in Chinese ink painting and painted in oil as well. The combination of British watercolour approach and treatment with calligraphic brushstroke aesthetics from the Chinese classical painting tradition resulted in his unique watercolour style. 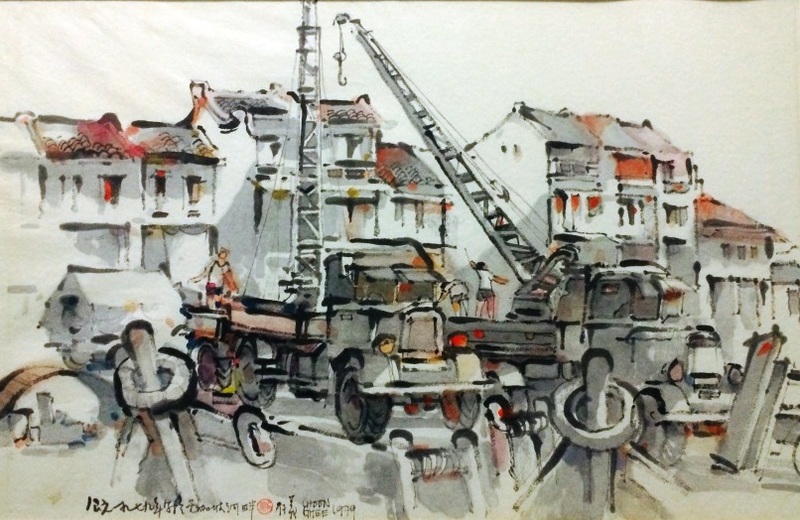 Even though the media he chose to paint is mainly watercolour, he did not stick to one style of painting in watercolour.